Shirts With Random Triangles: JUCO linebacker prospect Tyree Horton decommits from FSU. 247Sports grades Horton as a composite four-star JUCO outside linebacker prospect. The recruitng site ranks Horton at no. 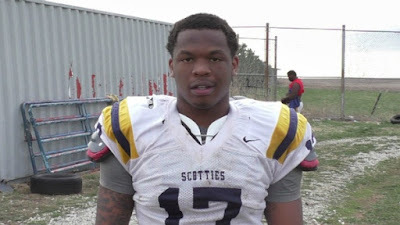 1 among JUCO OLB prospects for 2016, at no. 2 among 2016 JUCO prospects from the state of Florida, and at no. 7 in its composite rankings for 10`6 JUCO prospects nationally. Horton attends Highland Comminitu College in Highland, Kansas. He attended South Dade High School in Homestead, Fl. He stands 6'0, and weighs 225 lbs.